9th Annual Cool Cats Golf Tourna | NOVA Cool Cats Special Hockey, Inc. 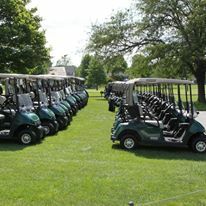 The NOVA Cool Cats Hockey Team is hosting its Ninth Annual Golf Tournament fund raiser at the Chantilly National Country Club in Centreville, Virginia on June 3, 2013 at 11:00 AM. All proceeds go towards purchase of equipment, uniforms, transportation costs in order for kids and young adults with special needs and learning disabilities such as autism can participate in our Special Hockey program. Thank You Golfer for hitting the 100 golfer mark.